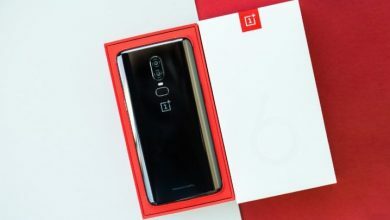 Today’s offer is dedicated to OnePlus 6, an exceptional smartphone with scary hardware, defined by many as a real flagship killer, thanks to its unrivaled quality-price ratio. Take advantage of the discount immediately and bring it home. With the OnePlus 6, OnePlus continues to remove the screen edges. With this device, the screen covers an even larger part of the front! They opt for a small ‘notch’, which gives a special appearance. The back of this device consists of several layers of Gorilla Glass with a shiny finish. The display, therefore, has a size of 6.28 inch with an aspect ratio of 19:9. The beautiful display is immediately protected from the box by the screen protector that has already been installed at the factory. The OnePlus 6 is powered by Qualcomm’s Snapdragon 845 chipset. With this chipset, you absolutely get The Speed ?? You Need! And in the meantime, your battery will also last for a long time with this smart processor! There is also 6GB of RAM available so you can easily use multiple apps side by side. All in all, with the OnePlus 6 you can perform heavy tasks without hesitation. Think for example of editing video or playing a heavy game. This device has no less than 128GB of internal storage. This gives you a lot of space for apps, games, music, photos and of course films or series. At the back of OnePlus 6, we find two good cameras. There is both a 16 and a 20-mega, pixel sensor available. You can use this simultaneously for beautiful portrait photos with ‘bokeh’ effect. There is an optical image stabilization this time so you can shoot excellent videos, even in Super Slow Motion! 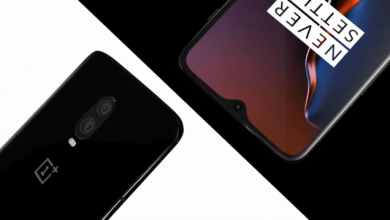 At the front of OnePlus 6, we find a 16-megapixel camera. This shoots your selfies with great detail and this time you can even use a portrait mode for beautiful depth of field effect! 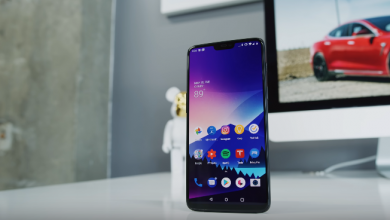 OnePlus continues to use a 3,300-milliamp capacity battery, running time of 10-12 hours for the OnePlus 6. This is a great value in terms of the image area. Thanks to fast charging technology, the battery is recharged in 106 minutes. Wireless charging does not support the smartphone, despite its glass case. This device runs out of the box on OxygenOS, the light Android skin of OnePlus. With OxygenOS you still keep the fine Android experience without unnecessary additions. OnePlus 6 8GB+128GB is now avaialble on Gearbest For Just $449.9, With 26% OFF 2 Days flash Sale. Support Our Site Click Here For Shopping On Gearbest!